If you're looking for slow cooker green beans recipes, you've come to the right place. Our collection of Best-Ever Green Bean Casseroles, Plus 8 More Slow Cooker Green Beans Recipes will help you master the art of slow cooking green beans. From amazing recipes with bacon, chicken, cheese and more, these green bean recipes for the slow cooker will have you admiring their versatility. Make these delicious recipes for holidays, parties, or for casual, weeknight meals, and show off your skills with this delectable vegetable. We have gathered recipes for both side and main dishes to meet all of your cooking needs, so get ready to enjoy the wonderful world of green beans. The holidays are a time for friends, family and food. Oddly enough, it's also a time when green beans and green bean casseroles tend to make the rounds in full force. Luckily, we've gathered the best-ever green bean casseroles and slow cooker green bean recipes around, so you can rest easy knowing you'll be set and ready. Our Cheesy Crunch Green Bean Casserole (recipe below) will remind you why you and everyone you know loves slow cooked green beans -- they are packed with amazing flavor and are super easy to make. Green bean casseroles are great for holiday potlucks and parties because they are easy to transport and heat up no matter where you take them. The best thing about green beans is that you can eat them at any time. It does not need to be a holiday to enjoy them steamed, in a casserole or with other delicious vegetables and seasonings. They are a healthy side that pairs well with so many dishes. Try one from our many varieties today! And, speaking of tasty, did we mention bacon? Mouths usually start watering whenever bacon is involved, and making recipes for green beans using bacon is a great way to create an irresistible flavor. Slow cooker green bean casseroles with bacon can add a really great crunchy texture to the softness of the beans, and bacon pairs wonderfully with cheese, which you'll find in most green bean casserole recipes for the slow cooker. Below, you'll find an entire section devoted to green beans and bacon, so bacon lovers, feel free to rejoice! Remember the different types of green bean side dishes your mom made for different holiday events? We have tapped into those varied recipes and have a great offering to share with you that will remind you of dishes from holidays of yesteryear. We've found some great ways to make your slow cooker green bean side dishes different from the kinds your mom used to make. Our recipes combine green beans with tomatoes, potatoes, ham, garlic, lemon, and even BBQ sauce. With this Best-Ever Green Bean Casseroles, Plus 8 More Slow Cooker Green Beans Recipes guide to slow cooker green beans, you will be able to find an idea to fit any event you have coming up. Enjoy trying a new recipe that will liven up your menu. Don't wait to try one of these! Bring some flavor to your holiday table this season with these amazingly easy slow cooker green bean casserole recipes. There is literally something for everyone! Our French Fried Onion Chicken with Green Beans Casserole (below) will have your guests asking for seconds. 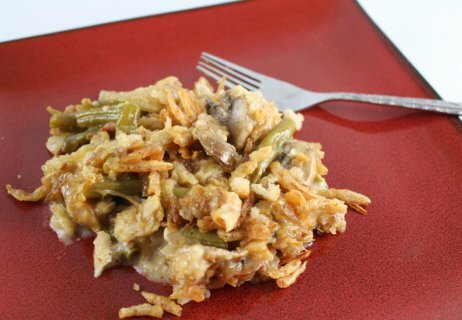 If you like a more traditional casserole, our Classic Green Bean Casserole (below) is the one for you. And for a crispy and creamy green bean casserole you won't be able to resist, try our Green Bean Tater Tot Casserole with Chicken (below). No matter how you tackle it, you'll have a great tasting and comforting meal everyone will love. Craving even more slow cooker casseroles? Us too. Check out our free eCookbook, 17 Slow Cooker Casserole Recipe Classics, for some great slow cooker casserole ideas. 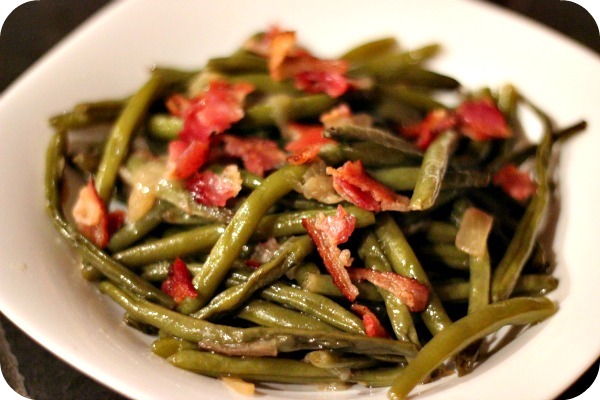 Now, for the green bean recipes you've been waiting for -- the ones with bacon! These bacon green bean slow cooker recipes are sure to take any green beans dish to new heights. Savory smoky bacon bits sprinkled throughout slow cooked green beans really bring out a nice flavor and add some texture to your dish. Our Green Beans with Tomatoes, Bacon and Onions brings a varied medley of flavors to your palate, which transforms a boring green beans recipe into something special that everyone will be excited to try. 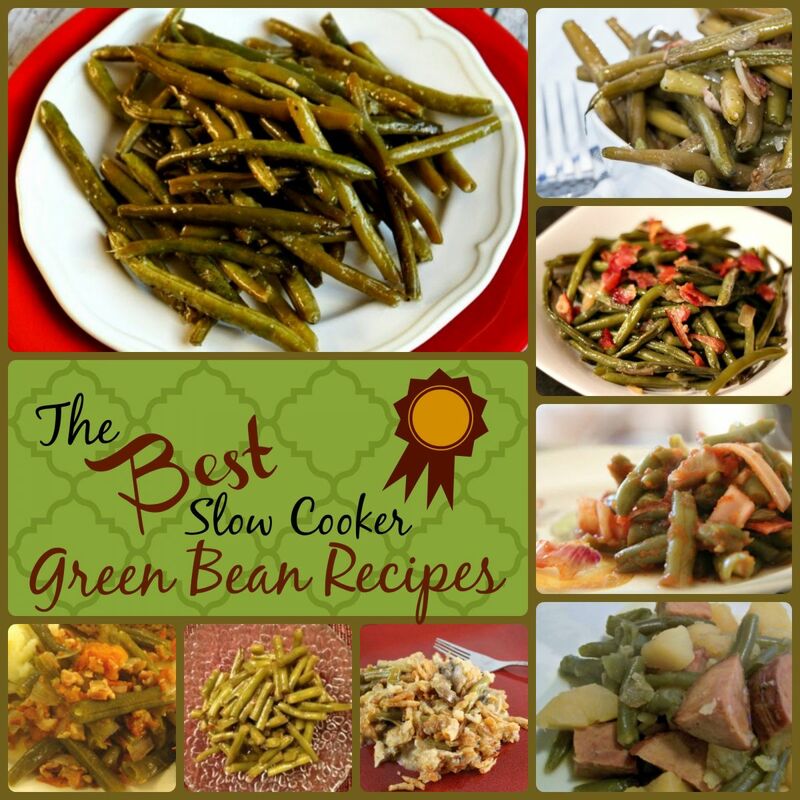 Still craving more slow cooker green bean recipes to try out? Good, because we're not done yet! Here is a collection of recipes for green beans that contains simple recipes, yet superb! Our Lemon Green Beans with Garlic is a great dish to make any time of the year. Slow cooking enhances the flavors in the beans, and because they complement almost any main dish, you'll have so many options when serving them. 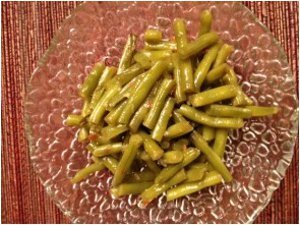 Try any of these easy green bean side dishes for a well-rounded and memorable meal any night of the week.